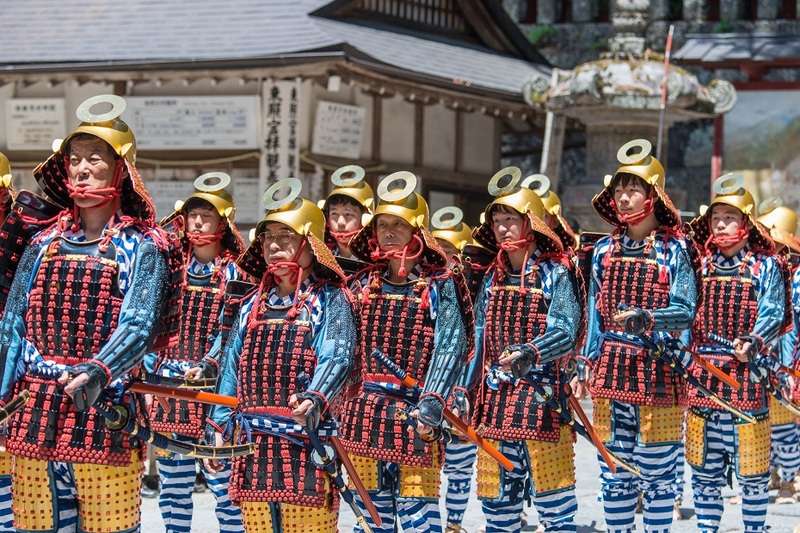 The highlight of this festival is the procession called Hyakumono-Zoroe Sennin Gyoretsu of some 1,000 men dressed as samurai warriors on the 18th. Nikko Toshogu, which is registered as a World Heritage Site, is dedicated to Tokugawa Ieyasu (1542-1616) who founded the Tokugawa Shogunate in Edo (Tokyo). 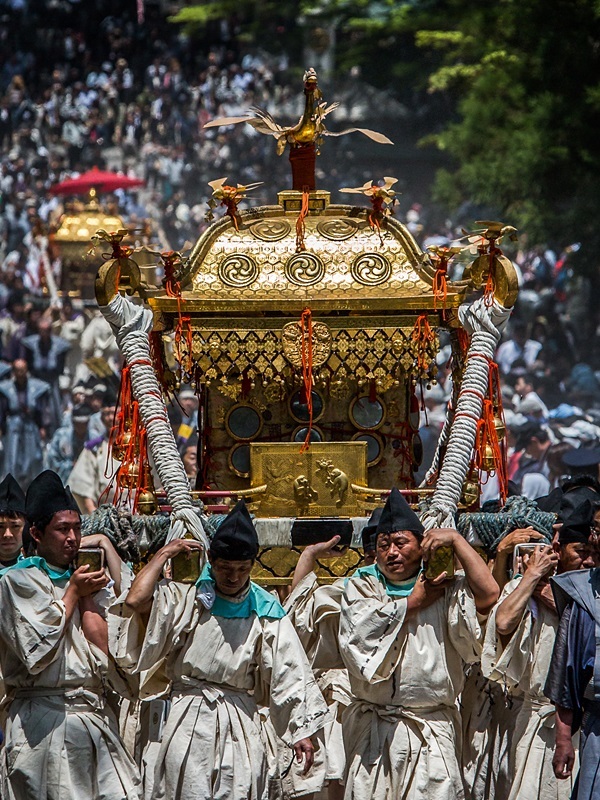 This procession reproduces the scene of his grave being transferred from distant Shizuoka Prefecture to Nikko in accordance with Ieyasu’s will. The procession departs from a shrine called Otabisho by the Shinkyo Bridge located to the south of Futarasan-jinja Shrine. It is led by three portable shrines which carry the spirits of the three Shoguns, including Tokugawa Ieyasu. They are followed by Shinto priests on horseback and samurai warriors clad in full armor. There are no special attractions, but this enhances the grandiosity and elegance of the procession all the more, impressing the spectators with the dignity of the samurai warriors. It is also worthwhile listening to the ancient court music and viewing the dance performances which are carried out upon the arrival of the portable shrines at Toshogu Shrine. 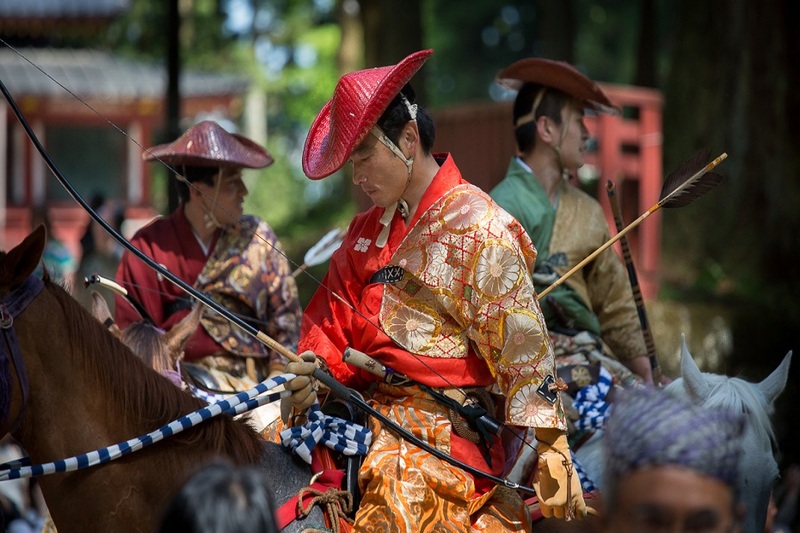 The 17th features yabusame, with archers dressed in samurai style shooting at targets while on horseback. A similar procession is held in October but on about half the scale of the spring procession.